The business entered in this event must have a representative from their business plus a roper and a mugger. (At least 1 woman must be on each team). 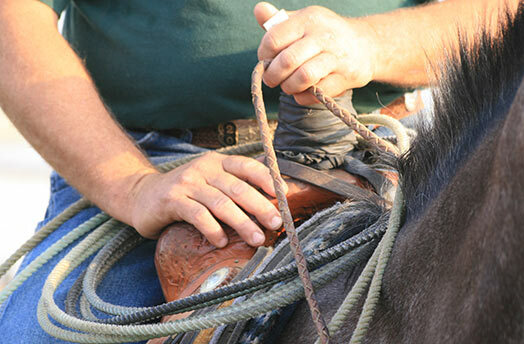 The roper will rope the calf and once the mugger has a hold on the calf, the runner shall take the ribbon off the calf’s tail and run back to the starting line to get a time. There is a 60 second time limit and the roper can throw his loops as possible as time permits. A 10 second penalty will be assessed for breaking the barrier. Grabbing the ribbon before the mugger has a hold of the calf. Not having the ribbon at the starting line.